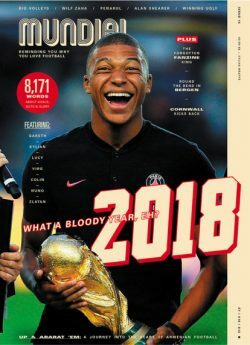 Mundial is a quarterly world football/lifestyle publication. It talks about all the bits of football that you still like. Travel, clothes, haircuts, big, old stadiums and everything else that isn’t a heat-map or pass completion stat. We are at the dawn of football’s data revolution. From passes completed ratios to average transfer fees, we….. I nya numret besöker vi klubben som i PSG:s skugga försöker hitta en smartare väg till framgång. Vårt reporterteam Alexander Piauger och Daniel Nilsson drog till Rivieran för att undersöka vad taktikgurun ….. Eight by Eight is a new football quarterly magazine with award-winning design and in-depth feature writing. Every issue contains 120 pages of original journalism about the global game…..